NuWu Cannabis Marketplace aims to serve customers in less than a minute from the time they place their orders from their cars, store representatives told the Las Vegas Sun. The dispensary poached drive-thru managers from fast food chains to handle the parking lot chaos and take orders while customers are in line. The Las Vegas Sun reports that NuWu’s drive-thru is a converted $30,000 bank teller window, made of bullet-proof glass and framed with bullet-proof Kevlar material. Surveillance cameras monitor both inside and outside of the impenetrable window. This massive weed marketplace, located on Native American tribal lands in Las Vegas, opened its doors on Oct. 16. Benny Tso, the chairman of the Las Vegas Paiute Tribe, told the Los Angeles Times at the end of the month that the dispensary was drawing in 300 to 500 customers each day. Nevada’s first recreational/medical MARIJUANA DISPENSARY DRIVE-THRU just took an order from the driver of a red Ferrari. #Vegas. Customers in vehicles will be able to choose from a limited selection of the dispensary’s expansive inventory. The drive-thru will offer about 15 flower, edible and concentrate products. 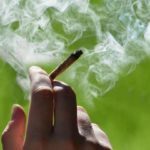 Licensed dispensaries have been legally able to sell marijuana for recreational use to anyone over 21 years old since July 1. 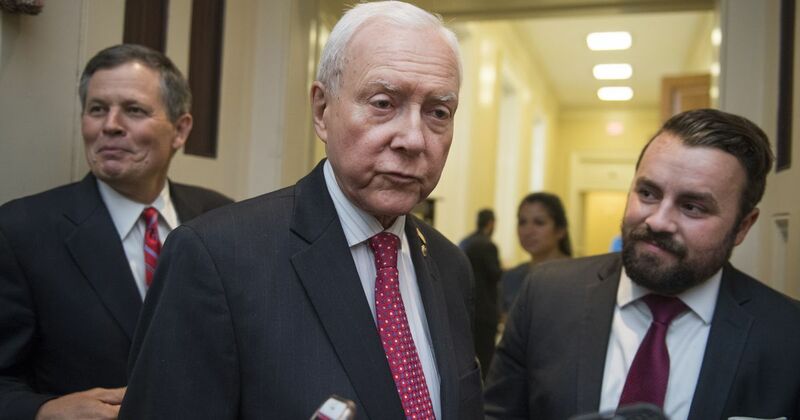 In the wake of that that weird piglet misstep, Orrin Hatch’s press team is stepping up its game. 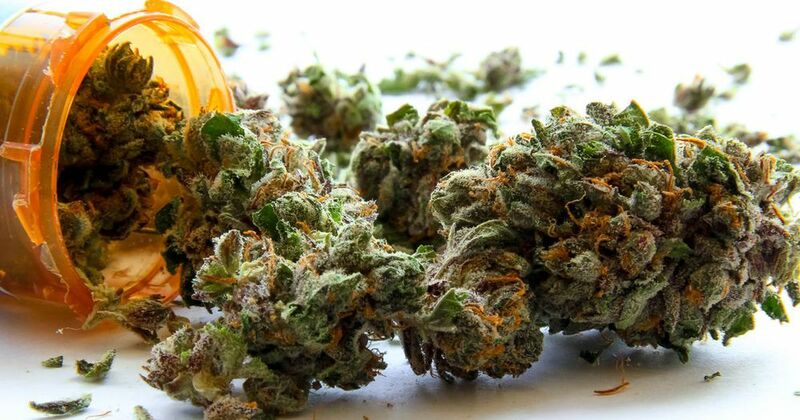 Per the Salt Lake City Times, on Wednesday the Ohio senator introduced the Marijuana Effective Drug Study Act of 2017, a proposed bill aimed at increasing medical marijuana research. Naturally, Hatch’s official statement included every drug pun his staffers could squeeze into six sentences. Be honest, Hatch staffers: How long did this take to draft? But the weed delivery startup has come under scrutiny recently for burning through at least $1 million in cash per month. 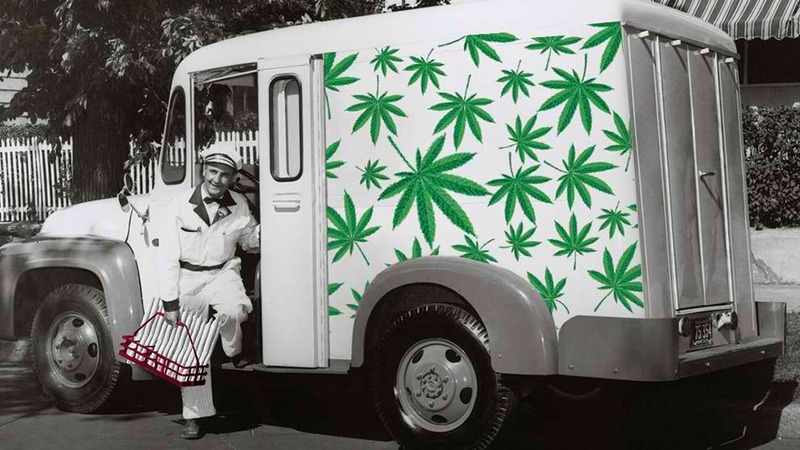 In contrast, other software-based pot delivery startups like Meadow have played it lean, focusing more on improving the software and logistics. Eaze has gone hard on marketing spend, using aggressive growth tactics and burning through the $24.5 million it had previously raised in VC cash. 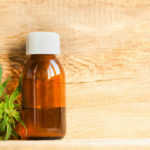 Part of the pop in the pot delivery industry is due to tech finally meeting the needs of the medical marijuana community in the state of California, where Eaze operates. Eaze uses its proprietary software to help consumers with a medical marijuana license in the state buy pot from local dispensaries and then delivers those purchases to their door. However, California is set to begin issuing licenses for the cultivation and selling of the plant for recreational use at the beginning of 2018, which will open up a whole new revenue stream for Eaze and others in the space. Colorado, a state where recreational use of the drug has been legal for a couple of years now, is reportedly pulling in nearly $100 million in pot sales per month and the marijuana industry is slated to balloon to a $24 billion dollar business by 2025. Eaze is making the bet on high growth now to cash in on a good piece of those profits later, telling TechCrunch this was the reason for the Series B raise. We should note that its conceivable other larger tech companies in the delivery logistics space like Amazon could just as easily decide to get into the space, crushing little startups like Meadow and Eaze in the process. 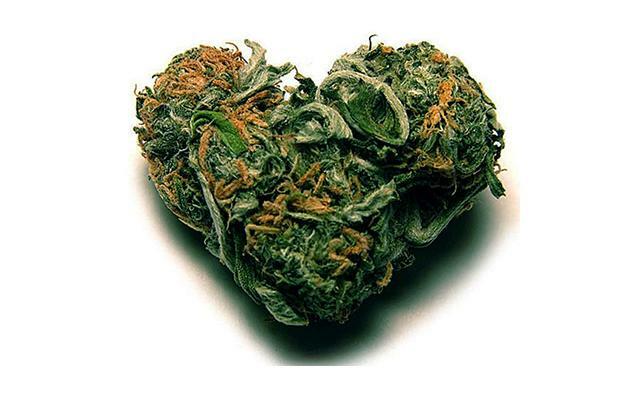 Medical marijuana is now legal in 29 U.S. states and the District of Columbia. Laws recently passed for Arkansas, Florida and North Dakota have yet to become effective. 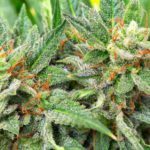 Recreational use is legal in eight states, though, as mentioned above, certain licensing provisions don’t take effect in California until the new year. It may not be so complicated as more states adopt marijuana legalization for both medical and recreational use in the years ahead and Patterson doesn’t count out future competition from the Everything Store. “But I do think we have a couple of years and hopefully Eaze will be a lot bigger by then and by then maybe it will be less scary than it would be now with only 80 employees,” he told TechCrunch. Bailey Capital led the round, with participation from DCM Ventures, Kaya Ventures and FJ Labs. A new a delivery service was founded by two people from the Portland area, and it’s not food-based. It is really not yet legal to sell recreational marijuana in Maine, but it’s legal to give it away, and that’s how Logan Martyn-Fisher and Ashley Small are developing their business. Elevation 207’s Facebook page clearly says in several different areas that the pot they’re delivering is a gift and that it is free, and any costs are for the delivery fees. Those prices range from $75 dollars to $250 depending on the quantity of cannabis being delivered. Martyn-Fisher says they began delivery service of recreational marijuana in February, and since then, business is booming. “There’s no way for people to get it the recreational way, so they come to us,” says Small. They say the majority of their customers are new to the marijuana world and who are more advanced in age. They want to experience it, however don’t have idea as to how to get it. Will Michigan be the Next State to Legalize Recreational Marijuana? Marijuana would be legalized for recreational uses and taxed at a rate of 16% under a petition which was turned in to the Secretary of State on Friday. In the event that the state Board of Canvassers approves the petition, the group driving the initiative — the Coalition to Regulate Marijuan Like Alcohol will have 180 days to gather 252,523 signatures from valid registered voters in Michigan. As a way to get a cushion to account for signatures which may be thrown out, the group is establishing a target of accumulating 350,000 signatures. That’s a job which will require money, said Josh Hovey, a spokesman for the Coalition. The group hopes to raise between $8 million and $10 million as payment for people who will gather the signatures needed to get on the ballot and to wage a campaign to get the measure passed in November 2018. 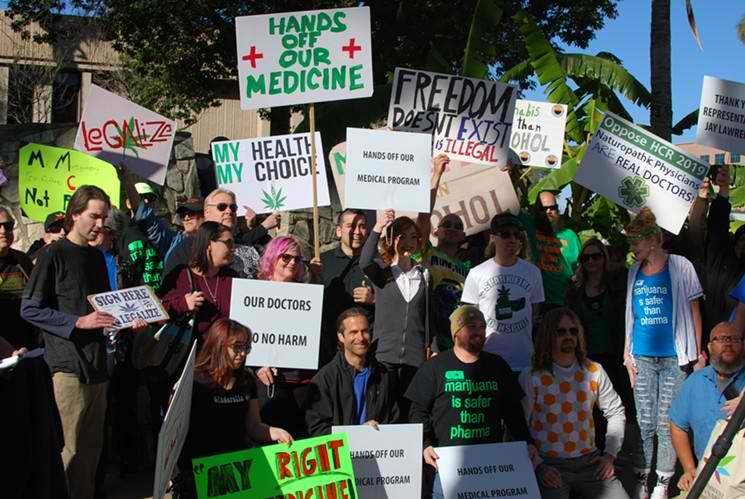 The Safer Arizona Cannabis Legalization Political Action Committee joined groups around the country and marched as part of the Million Marijuana March last Saturday in Phoenix. The Arizona group’s march is aiming to legalize, decriminalize and repeal prohibition of cannabis in Arizona for recreational use for those age 21 and older. “In our perspective, it’s unfair, immoral and unethical that anybody goes to prison for a plant,” said Alex Gentry, chairman of the Safer Arizona Cannabis Legalization Political Action Committee. Paperwork has been filed by the committee with the Arizona Secretary of State’s Office to start gathering signatures to get on the November 2018 ballot. It would have to accumulate 156,042 signatures from valid Arizona voters by July 5, 2018, to qualify. It was proposed by the Safer Arizona Legalization Act to legalize “the possession, consumption, cultivation and sales of cannabis for adults” at least 21 years old, decriminalize cannabis-related violations and replace prison sentences with fines and misdemeanors. New figures from the Alaska Department of Revenue reveal Alaska’s legal marijuana industry has reached a pinnacle of sales and production. Last March, 27 growers paid the state $220,229 in tax revenue. Alaskans purchased 225 pounds of weed or flower and 169 pounds of other plant parts commonly used as raw material for concentrates. Every one of those numbers are the highest since the state’s first legal marijuana sales happened in the last days of October. Tax figures trail real sales by one month; numbers for March are released at the end of April. April’s numbers will probably be released at the end of May. 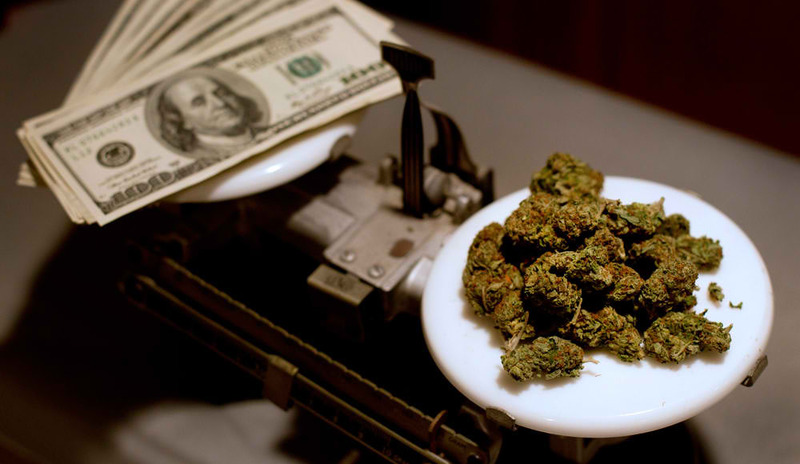 $693,029 in marijuana tax revenue from cultivators has been collected by the state of Alaska. 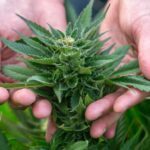 Flower is taxed at $50 per oz and other plant parts are taxed at $15 per oz. The Alaska Department of Revenue has predicted the state will collect $2 million in the fiscal year that ends July 1. Sales would need to average $433,000 in April, May and June to reach that amount.